I couldn't believe my eyes during the fourth quarter of the Brooklyn Nets' game against the Sacramento Kings on Tuesday. The Nets trailed by 25 points at the end of the third, and they went on a massive run to win 123-121 in regulation. D'Angelo Russell scored 27 points in an eight-minute stretch and finished with 44, yet another career high. He did it as part of an unconventional lineup that Brooklyn had never used before: Surrounding Russell were Treveon Graham, Jared Dudley, Rodions Kurucs and Rondae Hollis-Jefferson. As a Brooklynite, I've seen a good portion of Russell's breakout up close. The player who killed the Kings is not the same one I've been watching. In each of those last four clips, Russell scored in the restricted area. In the first 262 games of his career, he had four or more restricted-area baskets in a game just 18 times, per NBA.com's John Schuhmann. Why doesn't he do this all the time? Maybe this is as simple as desperate times calling for desperate measures. Once Russell had a bit of success getting into the paint, perhaps he figured he might as well keep it going. The Kings closed the game with both Willie Cauley-Stein and Harry Giles on the bench, so it's not as if they had a ton of rim protection. With Russell serving as the only natural playmaker in the Brooklyn's lineup, he had to make something happen. Russell's track record, however, suggests that this was just a blip. For a Most Improved Player candidate, it is striking how little has changed when it comes to getting to the rim, finishing and drawing fouls, which are generally considered essential skills for a lead guard. I feel like a buzzkill for mentioning this, but Russell has never gotten to the line less frequently or attempted a smaller portion of his shots at the rim than he has this season. When he has made his way to the restricted area, he has only shot 52.8 percent, which is down from 58 percent last year. I can't even estimate how many times Nets coach Kenny Atkinson has praised Russell's work ethic. Continually, when asked about Russell's performance, Atkinson has credited him for changing his body and has described him as fully committed to his craft. Russell is so serious about eating right that, when asked about his favorite pizza places at All-Star Weekend, he made a shocking statement for someone who works in New York: "To be honest, I don't even eat pizza." Russell skeptics can point to the recent four-game stretch in which he shot a dismal 31.6 percent. Even when he has been at his most productive, he has gone ice cold every few games. While he is capable of thrilling scoring outbursts, in which it feels like any crazy, contested shot he takes will somehow find its way through the net, he has trouble creating the easy shots that can turn a bad night into an average one. This is what makes Russell fascinating. If the Nets give Russell the hefty raise he is expected to command as a restricted free agent this summer, they will be betting on him continuing his rise. Over the life of that contract, they will need him to get more comfortable attacking the rim and taking hits. Coming out of college in 2015, some experts compared Russell to James Harden, who, with a head of steam, is as dominant as anyone this league has ever seen. It is wildly unfair to hold Russell to that standard, but he would be wise to try to steal more of Harden's tricks. The Sacramento game allows us to at least imagine a world in which he puts pressure on the defense from every area of the floor. Watching that might bring to mind the Warriors, who have been doing this for years to free up Stephen Curry and Klay Thompson. In last year's treacherous Western Conference finals against the Houston Rockets, they emphasized it so strongly after Game 5 that The Athletic's Ethan Sherwood Strauss compared Jordan Bell and Kevon Looney to the HMS Furious, a large battleship that was converted to an aircraft carrier. "She stood no chance of sneaking up on a target, so the move was to let her shield and help the fleet's fleetest," Strauss wrote. The most memorable air assault came courtesy of Curry, with Bell's screen and behind-the-legs pass serving as armament. More recently, ESPN's Zach Lowe described how Draymond Green, at his best, makes an art form out of the basic act of getting rid of the ball and sprinting into a screen for a shooter: "Green is rampaging into those dish-and-picks with such ferocity, he damn near arrives before his own pass." One might be inclined to treat this as a new, intriguing trend. In an era where spacing is paramount and 3-pointers are plenty, teams are finding ways to weaponize a lack of gravity. My ears perked up, though, listening to Detroit Pistons assistant general manager Malik Rose discuss this on Howard Beck's "The Full 48" podcast, because Rose did not bring it up in the context of Andre Drummond helping Luke Kennard get free. He was talking about himself. Gregg Popovich encouraged him to do this. Rose played for the San Antonio Spurs from 1997 to 2005. "Sometimes I was out there and my guy would always go to double because I wasn't an offensive option," Rose said on the podcast. "And they taught me. Pop was saying, 'If no one's on you, no one can help. Go get this guy open. Go get Avery [Johnson] open, go get Derek Anderson open. Go get Terry Porter or whatever. Go find a shooter and get him open because, if you screen his guy hard enough, no one's gonna be there.'" I found this pleasing to hear. There is something wondrous in the symmetry of Steve Kerr recalling the wide-open 3s he got playing for Popovich as he revamped Golden State's offense. There is something strangely comforting about knowing that, as much as the NBA has changed, advice from a coach 20ish years ago remains relevant. Just before the All-Star break, playing against Harden for the first time, Okogie blocked his stepback 3-pointer and forced multiple turnovers. On Sunday, the next time they met, the Rockets made a point of trying to force switches to get Okogie away from Harden. It reminded me of when Andre Iguodala defends Harden, and I can't believe I'm saying that about a rookie. Watch any Wolves game and you'll see Okogie spring around the floor. His energy and athleticism are extraordinary. Against Harden in particular, though, his discipline is what stands out. In the face of the superstar's jab steps and dribble moves, he is unfazed. Another note on Okogie: I am happy to report that he has been going for it on offense lately. He matched his career high of 21 points in Houston, shooting 8-for-14 with three assists, and followed it up with 19 points on 6-for-9 shooting against the Warriors on Tuesday. He shot a combined 6-for-13 from deep in those two games, too. Against the Nets on Sunday, a wide-open Shai Gilgeous-Alexander called for the ball in the corner and hit a clutch 3. The make gave the Los Angeles Clippers a 116-106 lead with a minute left. It felt like the dagger. It wasn't, as Brooklyn went on a 10-0 run before Lou Williams' game-winner, but that's neither here nor there. The significant thing is that Gilgeous-Alexander, a rookie, wanted to take that shot in a crucial moment. Jump shooting was listed as a weakness in Gilgeous-Alexander's pre-draft scouting reports. (Here's a good one from ESPN/DraftExpress' Mike Schmitz, who projected him, not Trae Young, to be the best point guard in the class.) 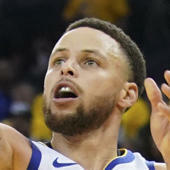 His accuracy from 3-point range has fluctuated -- 30.8 percent in November, 45.5 percent in December, 18.5 percent in January, 27.8 percent in February, a scorching 66.7 percent this month -- and, while teams do not always dare him to shoot, they typically do not run him off the line. What's encouraging is that Gilgeous-Alexander has shot 25-for-57 (43.9 percent) from the corners and 40-for-100 (40 percent, but you knew that) on spot-up 3s. This means he is theoretically capable of helping his team when he doesn't have the ball in his hands, which is good news for a team that has a diverse attack now and great news for future iterations of the Clippers. If they happen to employ a high-usage wing next season, Gilgeous-Alexander's usage rate might not get a second-year bump. A fully realized Gilgeous-Alexander would confidently knock down off-the-dribble 3s, but for now he is at the undeniably appealing Shaun-Livingston-With-Spot-Up-Shooting stage of his career. For reasons that have absolutely nothing to do with his jumper, he is already a spectacularly useful all-around player. I just want to see him keep letting it fly. Addressing the fundamental problem posed by Giannis Antetokounmpo and the shooters surrounding him before facing the Milwaukee Bucks on Sunday, Philadelphia 76ers coach Brett Brown blessed us with a new Brett Brownism. "You go into any game and figure out what sword you're going to die on," he told reporters. A lovely way to put it, right? Brown continued: "You have to pick your tolerance level. There are times when you're trying to absorb his drives where you're not going to be able to get outside to guard the 3-point shot." It sounds elementary, but this is why drive-and-kick basketball is ubiquitous. The Bucks' roster and offense were designed to get Antetokounmpo operating in space, the same way the Rockets built a system to maximize Harden's talent and, after signing LeBron James, the Los Angeles Lakers put together -- Oh, right. ESPN's Malika Andrews included Brown's quote in a feature about Antetokounmpo expanding his range, noting that it preceded the MVP candidate scoring a career-high 52 points and making three of his career-high eight 3-point attempts. The piece offers insight into Milwaukee's development plan for Antetokounmpo -- coach Mike Budenholzer says he "has the 100 percent green light to shoot" and assistant coach Ben Sullivan says that the narrative about him needing a consistent jumper to be unguardable is a little off: "He is already unguardable. If he could shoot, he would be even more unguardable." At the risk of duplicating my thoughts on Gilgeous-Alexander, I am thrilled to see Antetokounmpo gaining confidence in his shot. Unlike Gilgeous-Alexander, though, the vast majority of Antetokounmpo's 3s have been pull-ups. He is so powerful when he drives that opposing teams are often content to sit back and surrender open jumpers. The Sixers did this, and, despite the 52 points, had success. I'm sure that Philadelphia would rather not have watched Antetokounmpo shoot 19-for-21 from the free throw line, but it came away with a 130-125 win on the road. Brown did not want Antetokounmpo's teammates to get in rhythm from behind the 3-point line, and he elected to have center Joel Embiid guard him for much of the game. Embiid mostly hung around in the paint, ready to contest Antetokounmpo at the rim. On half of Antetokoumpo's 3-point attempts, the Sixers did not even pretend to have interest in contesting. On the other half, they contested late, sometimes extremely late. At Cleaning The Glass, Ben Falk wrote that, while coaches would ideally "have opponents shoot all contested midrange jumpers," or, better yet, "always force a turnover," the reality is that they need to tolerate imperfect outcomes in order to avoid more undesirable ones. Falk was analyzing the Bucks, who have prioritized rim protection at the expense of defending the 3-point line, but this is no different than Brown deciding to live with Antetokounmpo going against one-on-one coverage and an absence of ball pressure. These are the kind of choices that swing playoff series. Suggesting that opponents will not respect Antetokounmpo's jumper in the playoffs should not diminish the work he has done. It takes real resolve to shoot 12.5 percent on 3s through Dec. 19 and continue taking them. (He has shot 32.1 percent since.) Like anyone who strikes more fear into opponents as an attacker, though, he will be tested. We have been talking about how terrifying he would be with a jumper for years now -- "Once he gets that shot down, that 3-point shot, you can forget it," former Bucks assistant coach Nick Van Exel told me -- but having a jumper is a bit different for him than it is for most players. In order to force defenses to change their behavior, he will have to become the type of shooter who hunts long-range shots rather than settling for them. Still just 24 years old, there is plenty of time for Antetokounmpo to make a Kawhi Leonard- or Kemba Walker-like leap from the perimeter. Based on his progress, I am optimistic. Until that happens, though, we know what sword opposing coaches will be prepared to die on. 10 more stray thoughts: Everybody says we don't talk about the Pacers, and I don't think we talk enough about Thaddeus Young when we talk about the Pacers, so I guess Young is the Pacers of the Pacers … Danuel House is back in our lives! … You should read about what Zhaire Smith went through … I'm not sure I've ever felt a stronger we-desperately-want-this-season-to-be-over vibe than I did in the Lakers' locker room after Mario Hezonja blocked LeBron's potential game-winner on Sunday … An opus about Bruno is a Brunopus … Embiid has obviously been insane lately, but I also love how Jimmy Butler has played for the last week … For a guy who looks like he should be indestructible, Aron Baynes has had a rough go of it … Collin Sexton's last seven games: 26.3 points on 57/56.5/90.9 shooting, with 46 attempts from behind the 3-point line and only 11 from midrange … Sexton is also the first rookie since Tim Duncan to score at least 23 points in seven straight games, and he reacted by saying, "That's what's up. It's cool. He's a legend." … Long live Elfrid Payton's triple-double streak.